An exhibit on the Cheapside Hoard – a staggering amount of Elizabethan jewelry that was buried and abandoned. 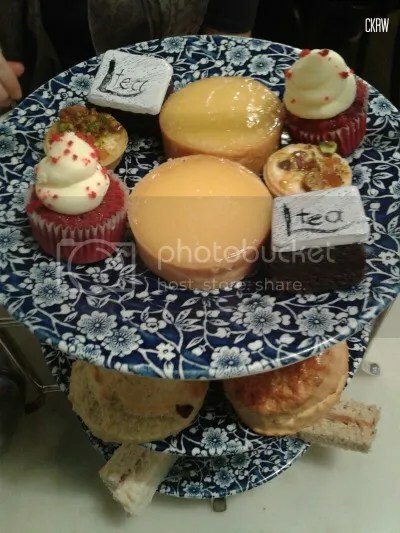 The gastronomic highlight was the hours we spent lingering over an afternoon tea at Liberty talking history, culture, tales of university days, exchanging expat life stories, and encouraging one another in our writing pursuits. 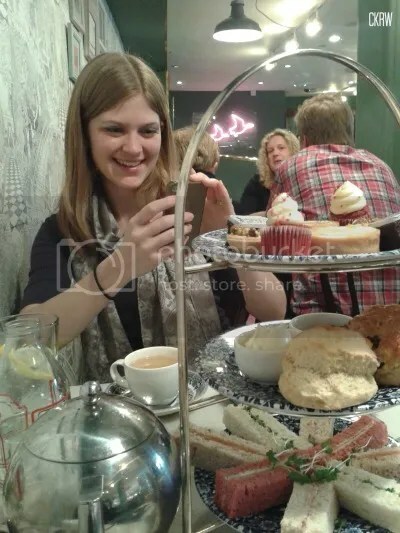 I was delighted at her delight at the tea. Which was delightful! Could it be more delightful? And after the multiple hours spent digesting this, we hopped straight over to Burger and Co. since the caressing taste of ground beef hadn’t crossed her lips in months and this was a situation that had to be rectified immediately. Then we dashed to the theatre. Which was frankly the tone of her entire visit. Clearly yes! 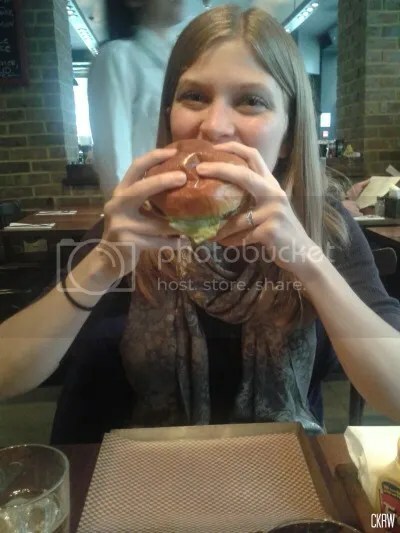 Burgers can do that to a girl who hasn’t had one in months. Sometimes it’s just so relaxing and wonderful to talk to a person who gets what’s going on in your life without a lot of context. She can grumble over issues with her flat (and I can commiserate), while I confess my troubles with some of my novel plots (and she can laugh and provide much needed perspective. She recommends books, I recommend theatre, we fit in both. She’s seriously the perfect guest and we were so lucky she came up to crash on our (newly purchased just for the occasion) air mattress to inaugurate our guest bedroom (read: living room minus the coffee table). I’m hugely lucky to know so many interesting, marvelous people, scattered across the globe but still wonderfully accessible via email, Skype, and letters. And visits! Here’s hoping we can get to China in the next few years to return this stellar one. I think you need a Caitlin on every continent! I’ve found one — a fitness blogger and fellow journo — living in Florida. That tea looks lovely. I have those gorgeous blue floral plates.